While visiting Ethiopia recently, Darrell Jantzi and John Peters heard that Meserete Kristos Church (MKC) has continued to grow and now numbers 310,877 baptized members, an increase of 4.5 percent over last year. Jantzi and Peters, both from Ontario’s Waterloo Region, are members of an MKC Link Canada team that connects Mennonite Church Canada and Meserete Kristos College. They were invited by the general secretary of MKC to attend the church’s annual general meeting in August 2017. An important part of the visit was reviewing the relationship between MC Canada and the College, as well as learning about the church, which has 1,011 local congregations across 38 regions in Ethiopia. Local churches relate to each other and to the broader church through a council of 180 elders. About 60 percent of the congregations worship in rented space or in temporary shelters made of poles and tarps. They are being pressured by the government to erect permanent buildings or risk losing their land. The College hopes to continue developing its program and has a strong desire to partner with a Mennonite seminary in North America to offer a master’s degree in theology. The vision for becoming a full liberal arts college has experienced government obstacles and has not yet been realized. The College is highly respected and has graduated more than a thousand students. 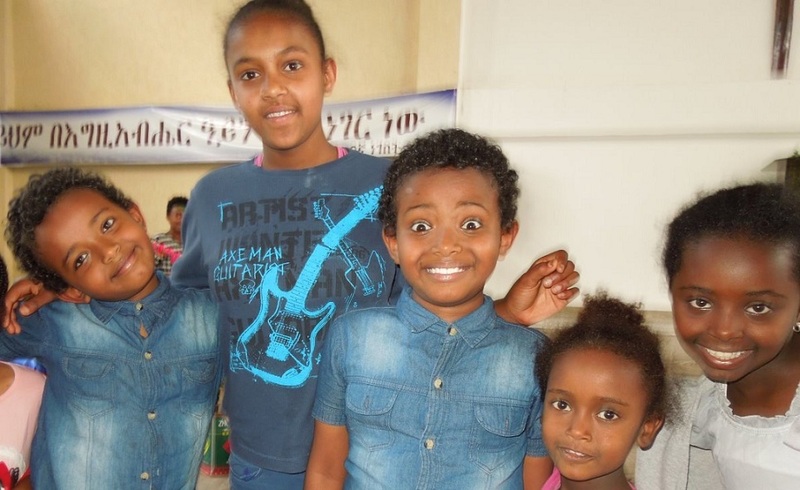 The theology program has been expanding with a main campus at Debre Zeit, where boarding students in the degree program are taught in English, and an extension campus in the city of Nazareth, where degree and diploma students use the Amharic language. A second extension campus opened recently in Addis Ababa for part-time students. Facilities at the original campus are being stretched, and the kitchen and dining room are no longer adequate, now that the women’s dorm is nearing completion. College administrators anticipated that there would be a 20 percent increase in registration for the fall, expanding the need for scholarship assistance. 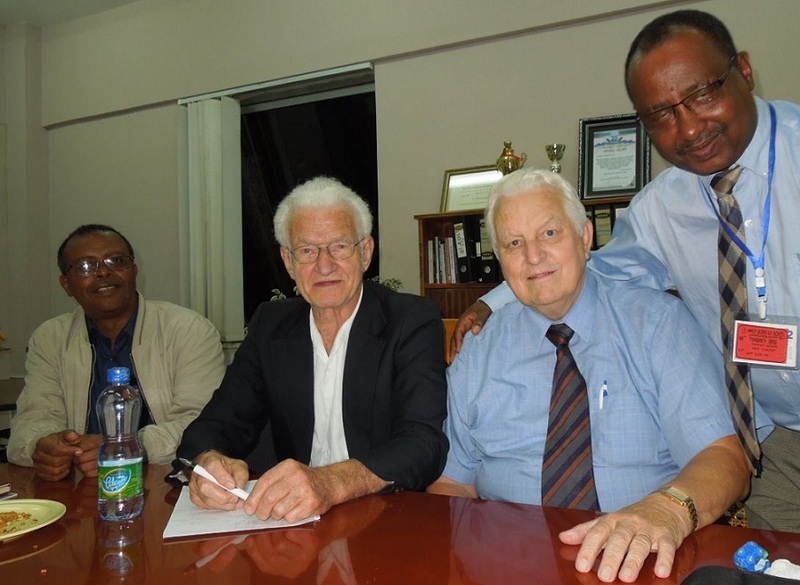 MKC leaders expressed their gratitude to the Canadian church for its prayers and support. Tuition, room and board costs each student more than C$2,500 per year. The Link team hopes to raise $250,000 in Canada for the nearly depleted scholarship fund. As the official MC Canada liaison, Jantzi was given the opportunity to review the College’s financial report from last year and the proposed budget for the coming year. Janzti and Peters also had the opportunity to visit an underground church where believers meet in secret prayer cells. In some areas, the ultra-conservative Ethiopian Orthodox Church makes it dangerous to openly profess faith, so that many hungry hearts seek Jesus at night, for fear of family rejection and alienation in the community. Over time, new believers gain confidence and prepare for baptism, then celebrate their faith and hope in Jesus Christ more openly. Visiting another MKC outreach program in a predominantly Muslim region enabled the Canadians to observe how believers with a clear sense of call extended their Christian witness in an area where they were not really welcome. For years, believers took a prayerful and humble approach, assisting in the needs of the local community in the spirit of Jesus. This opened the door for discussion and the opportunity to debate with local leaders who were well-versed in the Qur’an. Communicating Jesus through what the Qur’an teaches was an effective way to bring healthy dialogue, and there is growing receptivity and desire to experience more of Jesus. A third memorable encounter with an effective witness for Christ was in an inner city. Here, Jantzi and Peters observed MKC people on their knees on a Monday morning, praying and fasting for homeless children and youth. A leader in the church said he had a horrible home life and had run away at age 13 to find a better life on the streets. Attracted by the singing and joy-filled words of invitation by Christian young people, he was welcomed, led to Jesus and became part of a caring community. “In an age that casts doubt on just about everything spiritual, it is heartening to see and experience the concrete indisputable power of God manifest in a solid, rapidly growing community of believers,” said Jantzi about the visit.